Immigration/Green Card Through Asylum | Chicago Immigration Lawyer | Bankruptcy Attorney | Personal Injury Law Firm | Ebere N. Ekechukwu & Associates, P.C. Affirmative Asylum Application: The Law Office of EBERE N. EKECHUKWU & ASSOCIATES, P.C. represents people seeking asylum in the United States. To be eligible for asylum, you have to show that you are unable to return to your country of origin because of past persecution or a well-found fear of future persecution because of your race, religion, national origin, membership in a particular social group or political opinion. This affirmative application requires that you file the application within one year from the date you arrive in the United States. We will help you prepare the application and file it with the United States Citizenship and Immigration Services (USCIS) office of the Department of Homeland Security (DHS). We will prepare you and also attend the interview with you before the asylum officer. 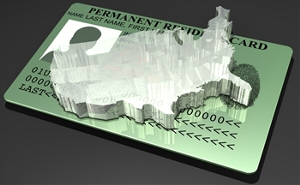 Foreign nationals granted asylum will eventually apply for permanent residence or green card and then citizenship when the time comes. 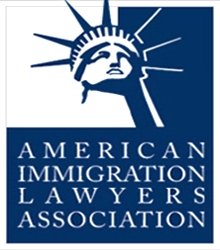 Contact us today if you are in the U.S. and in need of protection because you have been persecuted or fear that you will be persecuted on account of your race, religion, national origin, membership in a particular social group, or political opinion and we will explain to you if you are eligible to file for asylum. Referral to Immigration Court: We represent persons whose asylum applications were not granted by the asylum officer and are referred to the immigration court. Once before the court, you are eligible to renew your asylum application before the judge. We will prepare you, file all necessary documents, assist you during the hearing and aggressively pursue your case before the immigration court. Defensive Asylum Application: We also represent people who filed their asylum application outside of the one year filing deadline and usually with the immigration court and are facing removal from the U.S. If a person is facing deportation or removal, he or she may apply for defensive asylum protection before the court. There are two types of defensive protections you may obtain: “Withholding of Removal” or “Withholding under the Convention Against Torture.” This protection is mandatory if certain evidentiary requirements are met. If you are in exclusion or removal proceeding, Contact the Law Office of EBERE N. EKECHUKWU & ASSOCIATES, P.C. and see how we can assist you during this difficult period. You need a lawyer who will work for you, guide you, prepare you for hearing and aggressively pursue your defense.